Aug 1st: Save the Sea Turtles! Title: Save the Sea Turtles! Description: : We once again follow our heroes, Donna the Dark Night, and her loyal sidekicks, Hayley P. Small (H.P.S.) and Lindsay P. Small (L.P.S), as they fight to decrease light pollution in their city. Now, the Dark Night Crusaders aren’t helping promote dark skies in just Glowtham, they’re taking the dark skies and Globe at Night campaign international! They first stopped at Paris, France to attend the International Year of Light 2015 opening ceremony. Their second stop was Chile, South America, where they helped a local observatory combat light pollution from LED billboards. Then, they headed over to Tokyo, Japan to help stop a purse robber who was using poor task-oriented lighting in Tokyo parks to pull off his crimes. Now, the Dark Night Crusaders are headed to Florida, USA in their international light pollution campaign. 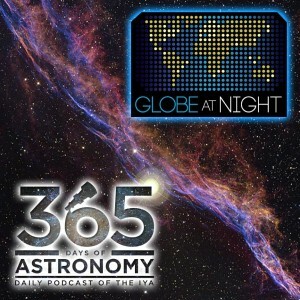 Sponsors: This episode of “365 Days of Astronomy” is brought to you by the National Optical Astronomy Observatory on behalf of Globe at Night. NOAO is the national center for ground-based nighttime astronomy in the United States and is operated by the Association of Universities for Research in Astronomy under cooperative agreement with the National Science Foundation. Globe at Night has been using crowd-sourced observations to track the spread of light pollution since 2006. This year, the project is expanding so that you can collect data every month of the year. If you can find Orion or another one of the bright constellations being used in the program, you can add your data to this ever growing citizen-science effort. For more information, go to www.globeatnight.org. Bio: : Carmen Austin, playing the part of Donna/The Dark Night is an undergraduate student in General Studies at the University of Arizona. She also works as a public observing program guide at Kitt Peak National Observatory, as well as an instructional specialist at the UA Steward Observatory. Hayley Keith, the author of this podcast and the voice of Hayley P. Small (H.P.S), is a junior at the University of Arizona and a Science Education: Earth Science Emphasis major. She also works as a special projects assistant in the Education and Public Outreach Department at NOAO. Ryleigh Fitzpatrick, the voice of Lindsay P. Small (L.P.S), is currently a sophomore at the University of Arizona. She is triple majoring in Astronomy, Physics, and Math and is also a special projects assistant in the Education and Public Outreach Department at NOAO. Zachary Watson, the voice of Mayor Mac, is a junior at the University of Arizona and is double majoring in Physics and Astronomy. He is also a special projects assistant in the Education and Public Outreach Department at NOAO. Rob Sparks, the voice of our narrator, is a science education specialist in the EPO group at NOAO and works on the Galileoscope project (www.galileoscope.org), providing design, dissemination and professional development. He also pens a great blog at halfastro.wordpress.com. Narrator: Last time on the Dark Night Crusaders, Donna the Dark Night and her faithful Hayley P and Lindsay P Small, travelled to Tokyo during their international light pollution campaign. While there, they teamed up with the Tokyo police department to catch a purse robber who was using poor task-oriented lighting to pull off his crimes. Our trio finally gets back to Glowtham from their world travels and start to settle in at their headquarters at Linda Lightman Lighting Limited Liability Corporation, when Donna sees they’ve gotten a letter in the mail from Florida, USA. HPS: It feels so good to finally be somewhere permanent! I gotta say, living out of a suitcase is not easy. All my clothes are wrinkled, and our Globe at Night postcards are bent! HPS: … so excited! New school, new city, new adventures. I can’t wait! LPS: And new opportunities to get into trouble. You better stay out of trouble here Hayley. Donna: It looks like we have an urgent letter here from a middle school in Florida. They live near a beach that a lot of mother sea turtles recently laid their eggs at. The eggs will be hatching soon, and a local middle school science class is concerned that there is too much unshielded light from homes and businesses near the beach. So it looks like our homecoming is over. LPS: Yep, we have to get to Florida stat! Narrator: The next day, our heroes get on yet another plane to travel to Florida, USA. They head over to the beach mentioned in the letter. Upon their arrival, they are greeted by the science class students who mailed Donna, Hayley, and Lindsay the urgent letter. Ms. Marlin: Hello Dark Night Crusaders! Thank you so much for coming. My name is Ms. Marlin and I am the 8th grade science teacher here at P. Sherman Middle School. As part of a science project, I had my class research a current wildlife concern. What they found ended up hitting close to home. Donna: What did you find out? Middle Schooler 1: From our research, we found out that mother sea turtles come ashore to lay their eggs in nests called clutches. It takes about 60-80 days for the eggs to hatch. Those days are almost up! HPS: Why is it bad that the baby sea turtles will be hatching? Middle Schooler 2: We also found out that too much coastal lighting makes it very hard for baby sea turtles to find their way back to the ocean after hatching. Ms. Marlin: We spent a night here on the beach as a field trip, and we saw that a lot of the homes along the beach keep their outdoor lights on all night, and not many of them are shielded. We also noticed that the city lights are very bright near here. The nearby convenience stores, gas stations, and stadiums have very bright streetlights that are visible from the beach. Middle Schooler 1: What are we going to do? These sea turtles will be hatching in a couple weeks. With all this poor quality lighting, they’ll never be able to find their way back to the ocean! Donna: Sounds like we need to have a talk with your mayor! Narrator: Our heroes, along with Ms. Marlin and her class, head over to the mayor’s office to see if he can help them with their sea turtle dilemma. Mayor Crush: What brings such a large group to my office this fine afternoon? Donna: Hello Mayor Crush, my name is Donna the Dark Night, and these are my faithful sidekicks Lindsay and Hayley P Small. We work together in our city of Glowtham to help reduce light pollution. Mayor Crush: Very nice to meet you! What brings you all the way to Florida? Donna: Well Mayor, we’re concerned about your sea turtles. Mayor Crush: What’s wrong with our sea turtles? I’ve taken all the necessary steps to ensure their safety. During the months that the mother sea turtles lay their eggs and the nests are on the beaches, I don’t allow any tourists or people in that area. I too want to keep the baby sea turtles safe. Donna: That’s great, but I’m afraid you haven’t remembered to take the necessary precautions when it comes to light pollution’s impact on sea turtles. Mayor Crush: How could light affect sea turtles? HPS: Well you see, Mayor, when baby sea turtles hatch, they need to find their way back to the ocean, where they will live the rest of their lives. But, too much light pollution along the beaches where they hatch stop a lot of baby sea turtles from making it back home to the ocean. LPS: Once the baby sea turtles have hatched, they emerge at night to try and find their way back to the ocean. Their only way of finding the ocean is by following the light of the moon that reflects off of it. Middle Schooler 1: May I? When there is too much light coming from shore-side businesses and homes, the baby sea turtles get confused. Instead of following the light from the moon reflecting off the ocean, they go the opposite direction, towards the lights from the shore. Because of this, many baby sea turtles never make it to the ocean and die. Middle Schooler 2: This is one of the reasons all seven sea turtle species found in the US are threatened or endangered. Ms. Marlin: Mr. Mayor, from my students’ research on the matter, they’ve found that the baby sea turtles on our beaches are due to hatch in a few weeks. We’ve observed that the light pollution from nearby businesses and homes is high, and we’re afraid that when the sea turtles hatch, they may not make it back to the ocean for this reason. Mayor Crush: Hmm, I see, I see. Well, I don’t want to be known as the mayor who didn’t help any baby sea turtles. That will definitely hurt my chances of re-election. I want to help you. What can I do? Donna: Well, the best thing for the sea turtles is for your citizens to be more responsible about lighting. Simply by having people who live close to the beach turn off their patio lights and shield indoor lights shining on the beach by closing drapes at night can greatly help the baby sea turtles not to get confused. Also, if local businesses shield their streetlights and outdoor lights or turn them off at night during the sea turtle hatching period, the hatchlings should be able to make it back to the ocean where they belong. LPS: Not only is responsible lighting good for sea turtles, but responsible lighting is smart to do year-round as well. HPS: … and responsible lighting! Mayor Crush: Yes, most definitely, and responsible lighting. Thank you all for bringing this to my attention. You’ve done this city a great service. Donna: We’re happy to help, Mayor; it’s what we do. Middle Schooler 1: And we’re just happy that the baby sea turtles will be saved. Yay! Narrator: Crusaders and Ms. Marlin’s class triumphantly left the mayor’s office and went to P. Sherman Middle School. Donna: Well, it looks like our work here is done. And we’d like to give all of you a huge thank you for your hard work and commitment when it comes to saving the sea turtles. HPS: Great job everybody! We’re super proud of you. LPS: Yep, this world needs more ambitious young people like you who care about the safety of wildlife and light pollution’s impact on it. Ms. Marlin: And we’d like to thank you for helping us, we couldn’t have done it without you, Dark Night Crusaders. Donna: Well, looks like it’s back to Glowtham for us. Middle Schooler 1: Ms. Dark Night, we were all hoping you would stay for a little while longer. We’d love to show you the posters we made on light pollution and wildlife. Middle Schooler 2: Also, we were hoping you could teach us some more about responsible lighting. LPS and HPS: Ooo, can we Donna? Donna: Hmm, I guess we can stay a little longer. HPS: Yes, this will give me some more beach time, well, on a beach without any baby sea turtles, that is. LPS: And it will give us more time with this awesome class. Narrator: Donna, Hayley, and Lindsay spent the rest of the time in Florida educating Ms. Marlin’s class on light pollution and enjoying the good weather, beaches, and key lime pie. Where will Donna and her sidekicks travel next on their international tour to spread the word about light pollution, dark skies, and Globe at Night? Tune in next time to find out! Your next chances to help our heroes are our upcoming Globe at Night campaigns: August 5-14 and September 3-12. Visit our website, www.globeatnight.org for more information about all of these projects! Also, for more information on light pollution’s impact on wildlife, visit www.darksky.org. Connie Walker is an astronomer in the Education and Public Outreach group at the National Optical Astronomy Observatory in Tucson, Arizona. 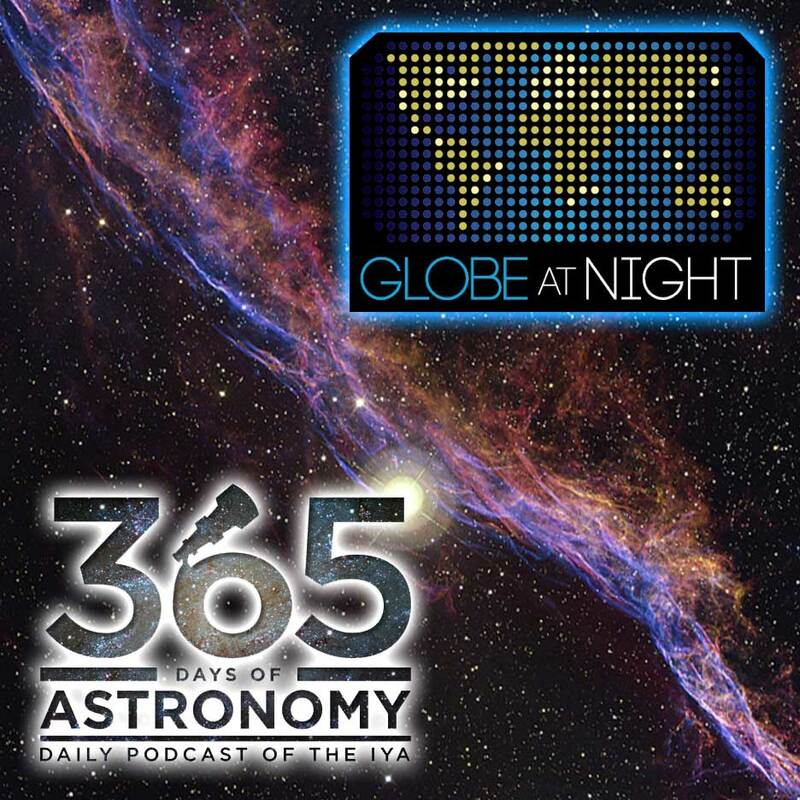 She manages the GLOBE at Night program for the National Optical Astronomy Observatory since the program’s beginning in Tucson and La Serena, Chile. In addition, she chairs the Cornerstone Project on Dark Skies Awareness for the International Year of Astronomy. Her colleague in writing the podcast is Hillary Oswald a freelance writer from Denver, Colorado, and author of a good article on GLOBE at Night in the February 2009 issue of the magazine, Edutopia.